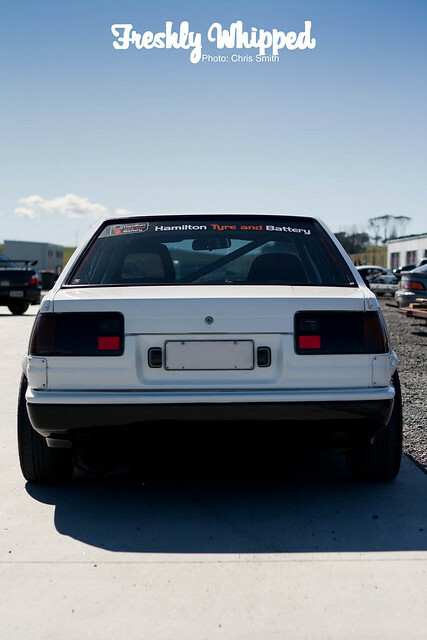 A few weeks back I was out at the Garage H drift day at Hampton Downs. 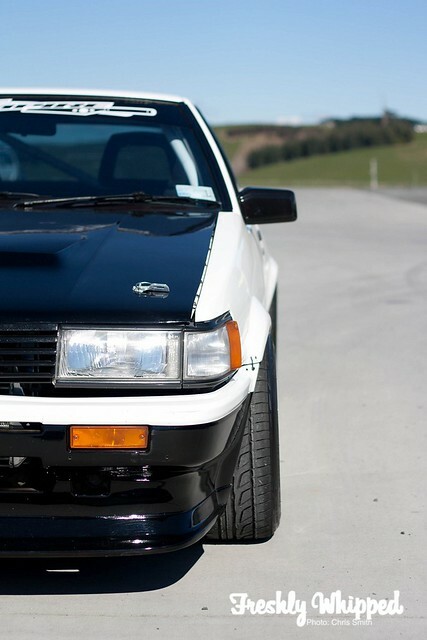 As I was cruising around the car park, I noticed an AE85 sitting perfectly. After having a chat with Tony – the owner – I decided to do an ‘on the spot feature’ of the car. As you can easily see, the car is by no means stock. A new bonnet, kit and wheels are just the start of the package. Heading over to the engine we see that this too is not stock. In fact, it’s not even slightly stock. With a AE92 4AGZE, forged pistons, polished crank, race bearings and rings and a Procoated Apexi Super Spiral Extractors matched with a custom exhaust. All producing 120kw’s atw, with Tony hoping to produce more with a Link G4 on the way. As you can see, for a little ’85 it sure is ready for business. 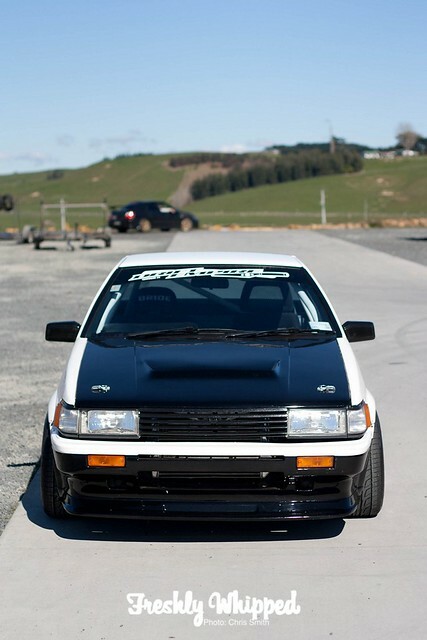 With a full D Max kit and Kouki add-ons, it’s looking great. The wheels are sitting with 0 offset, giving the ’85 some stance! I love how clean the paint is on the car. It’s such as clean example. Even thought Tony’s only just getting into drifting, he was pulling some great runs out on track with smoke pouring off the rear end. It’s great to see Tofu cars delivering at full potential! Looking through the rear window you can see the car’s cage. The car has a 6 point bolt in cage which helps it stay stable when going sideways. Thanks a lot to Tony for letting me shoot the car! Full specs are available here. Photos up on our Facebook page.